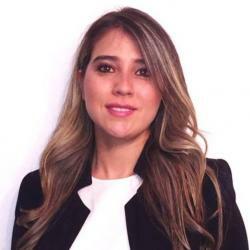 Camila is currently studying in the Full-Time MBA programme at Frankfurt School. Before entering FS, she was working as a regional marketing leader for Avianca in the aviation industry, where she worked for more than 5 years. What is the first thing that comes to your mind when you hear Milan? Some would say, Da Vinci’s Last Supper, the Duomo, the Galleries, others would say of course pasta, pizza, risotto, and some would definitely mention its high recognition for being one of the most important cities for the fashion industry. However, this city has much more to offer. As Full-Time MBA students, we had the opportunity to attend the Leadership and Change Management module at one of the most prestigious business schools in Europe, SDA Bocconi School of Management. Five intense days of discussions, interesting cases and interacting with professors such as Olga Annushkina, Gabriella Bagnatto, Leonardo Caporarello and Celia Moore went by way too fast. During the sessions we discussed diverse cases in which leadership was the key to success. Additionally, we have learned to understand which type of leaders we are, according to our personality features and how we may use those in our professional life. Besides the class activities, we also had an entire afternoon session together with the Bocconi students of the Strategy and Entrepreneurship Master, debating about multicultural management and conflicts that emerged in previous experiences because of intercultural differences. Despite the intense academic schedule we had, there was of course also time for activities. The first day after the session with the Bocconi students, we visited a famous traditional Italian “Aperitivo”, where we enjoyed great food and drinks with the other students. On Tuesday, we visited the Ferrari Museum and Factory at Maranello. This experience was incredible, as we visited the home of one of the most aspirational, successful and recognized brands in the world. The synonym for luxury and exclusivity. Wednesday, we enjoyed an amazing tour around the city visiting the Duomo, the Galleria Vittorio Emanuele II, and the impressive Castello Sforzesco among other beautiful spots. We also took advantage of having a local among our classmates (our dear Enrico), who took us to incredible traditional Italian restaurants. There, I could try the best truffle risotto I have ever had, delicious pizza and other temptations that I would let you discover when you visit the city. Just a small hint: If you like risotto you should definitely go to Il Cantonine, and pizza lovers should not miss Gino Sorbillo. Coffee addicts, like me, can enjoy a delicious espresso in 10 Corso Como Cafe, a garden coffee spot full of ambiance and design.